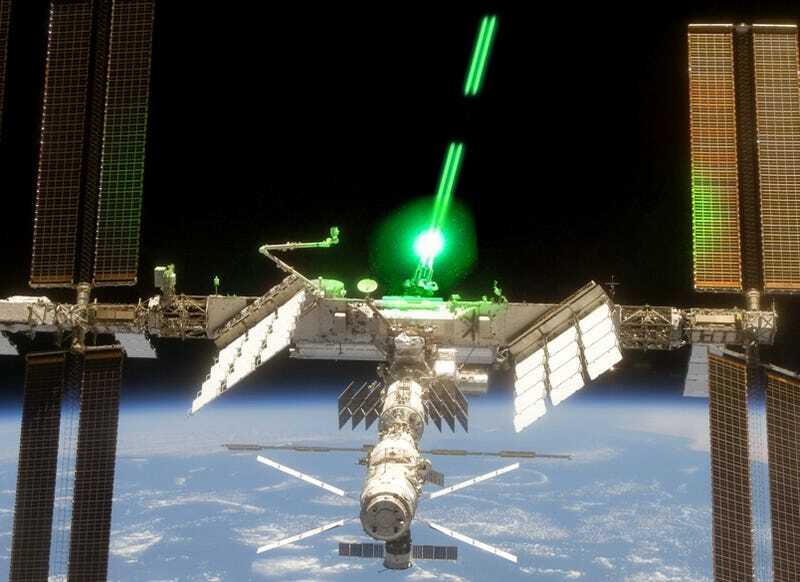 I told you we needed lasers up there: The ISS is again in danger of colliding with the orbiting debris. And space shuttle Discovery is headed into it too. Cue in the Bruckheimer movie's soundtrack. After discovering that the remains of a Russian satellite could pose a serious security risk, NASA is now considering the possibility of changing the course of the International Space Station and Discovery. They have already notified the crews, but nothing has been decided yet. The Discovery mission commander Mike Fincke got the news, to which he replied with classic astronaut aplomb: "You know where to fin us." These guys have the right stuff indeed.